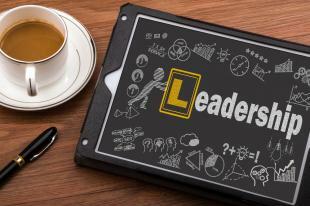 In 2009, US companies spent $12 billion on leadership development, and it’s easy to see why. In the same way athletes need motivation from inspirational coaches in the locker room before winning the championship, the most productive employees are the ones who believe not only in the institution they work for, but in their team, starting with the woman or man in charge. No, not their boss, but their leader. This post discusses the differences between the two. Think about the word “boss.” Chances are, the word evokes negative connotations. After all, no one calls Martin Luther King or Indra Nooyi the greatest ‘bosses’ of all time. It can then be agreed upon that being a “leader” is a more desirable attribute, although most bosses/leaders fall somewhere on a spectrum between the two. The following tips suggest how you can influence where you fall on the spectrum, and apply to almost anyone in the workplace (i.e. experienced CEOs, sales managers, supervisors, petrified interns tasked with leading the weekly check-in). Continuing the sports metaphor, one of the hats you wear as a leader is that of a coach. While you should hold your co-workers to high standards, instead of shaming them for their lack of knowledge, invite questions. Teach before mistakes are made, and make it clear that asking questions is not something to be feared but rather a top priority. This will build trust, and ensure that they learn from their experiences to increase performance in the future. And although it may seem self-explanatory, as Kenneth Blanchard and Spencer Johnson explain in the One Minute Manager, when people feel good about themselves as opposed to shamed, they will do their best work. On the other hand, make sure not to over-teach, you will get bogged down and employees will feel patronized. Participate in achieving your team’s goals. On a similar note, instead of ruling over your team (note: team, not indentured servants), be an accessible resource and work towards achieving goals. A boss stays uninvolved in the tasks they are assigning, while a leader does not. A basketball coach wouldn’t jump into the games with the players, but they would give directions and lead by example on the sidelines and during practices. A leader should have the same kind of presence. Flatter in public, flame in private. In other words, if you don’t have anything nice to say to an employee, don’t say it at all (in front of all their co-workers). Reprimand instead of berate to avoid the oppressive-regime feel. Conversely, don’t be afraid to compliment in public. Instead of using the carrot approach with rewards, draw attention to good behavior/progress by noting that you have observed it. By phrasing it this way, it’s more of a motivator to the rest of the team that doesn’t make it seem as if you are bribing them. Accept that you are always learning. A boss thinks they know it all whereas a leader is willing to listen. Listen to what your employees have to say, and what they need. Listen to and observe your surroundings to be able to form educated conclusions and solutions. Accept constructive criticism and maintain a “we” instead of “me” mindset. As C.S. Lewis wrote, “True humility is not thinking less of yourself; it is thinking of yourself less.” Finally, leave your ego at the door, not to your office, but to your building. Egos lead to resentment and politics which lead to dissatisfaction in the workplace. When you take into account the fact that nearly 60% of companies face leadership talent shortages which impede productivity, suddenly $12 billion doesn’t seem so exorbitant. Leadership is a delicate balance of qualities: orientation towards results and people, ambition and humility, enthusiasm and focus. While some lucky individuals are blessed with the leadership gene, the hidden truth is that most of us didn’t graduate preschool having lead a revolution against the teachers. For the latter, it takes lots of practice and experience to master the art of leadership. This is where elearning come in. Even though leadership is an abstract concept, techniques and skills can be learned and practiced until they feel like breathing. While you probably wouldn’t address your CEO and ask them to teach you how to lead a project, online leadership training programs provide a low-risk high-reward environment where you can gather information at your own speed. At OpenSesame, with more than 700 online courses on leadership, you are guaranteed to find what you’re looking for, whether it is a simulation for situational leadership, a presentation by an established business entrepreneur, or even a course on the psychology of leadership. Take action and start thinking like a leader instead of a boss! Where do you fall on the spectrum? And what have you learned from others about leadership? Feel free to leave a comment below and we’ll get back to you!